So, using [Down] + [Grab] when you're over the object, you lift the object, for example a explosive barrel, over you head, and you throw it with [Block]. The main purpose is for throwing it around better than just kicking it 5000 times, and yeah, when shot it would explode, but i dont think not even the stupidest player would carry a explosive barrel with armed players around. ·Propane Tanks, Jogging speed and you're able to hit with it. ·Tables, Jogging speed and not able to hit with it. you can imagine. Big objects like the barrels or tables you can just carry and throw them around, but other relatively small objects like the propane tanks you can carry, throw and hit with them. And for grabbing stuff, the easiest way i can imagine is being over them and crouching then pressing R.
Leave a reply or a thumbs up to approve this so the developers work on this! Last edited by Jyiro on Sun Oct 08, 2017 1:16 am, edited 2 times in total. This would need more specifications,but lifting objects is something that has always been missing from this game. Thx, what specifications do you need Del Poncho? Well,I'm not exactly the best at proposing ideas in here,but usually they need a lot more details. For example,what can you lift,how will you move around with it,in what position,what and how you can throw,how far,how will you be able to grab exactly what you want in a sea of objects,and stuff like that. Basically,everything the Devs would have to program and think of when including this feature in the game. That's what separates an actual suggestion topic and a "wish". This idea just seems unnecessary, i don't think anyone would risk carrying a propane can or an explosive barrel. It wouldn't even do much damage when hit and if it is shot while carrying ,it could almost kill/kill the player who is carrying it. This would allow you to rain death from above and transport cover more easily, just imagine being able to carry an explosive barrel and throw it onto a foe below, and watch them explode, even on the receiving end it would still amaze you, although it would require some skill. Another more practical reason I'd like to see this implemented would be to make transporting cover more precise and quick, transporting cover as of now is pretty clumsy, your only option is to kick it around and hope to god that it doesn't fall off an edge or end up on it's side(in the case of a barrel). To get into the nitty-gritty, carrying an object would be similar to carrying a body, you would have to initiate a grab and hold down. After making contact you will lift the object over your head, rather than holding it in front of you, to unable you from using it as a mobile shield, but the object would still take damage from projectiles, meaning, while carrying an explosive barrel, you would also carry the risk of getting 'sploded. 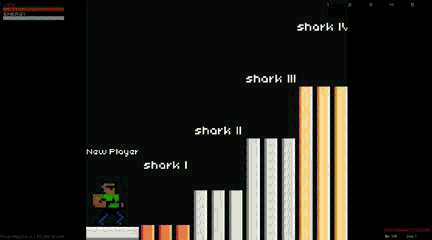 You will have 2 options while carrying an object, throw it by pressing the "aim/block" key, and plop it down by pressing the "attack" key, carrying an object would obviously slow you down, but this would vary depending on the object, metal objects such as barrels would weigh more than wooden objects like boxes. Last edited by StarNord on Thu Jul 26, 2018 1:36 am, edited 1 time in total. To get into the nitty-gritty, carrying an object would be similar to carrying a body, you would have to initiate a grab and hold down. After making contact you will lift the object over your head, rather than holding it in front of you, to unable it from being used as a mobile shield, but the object would still take damage from projectiles, meaning, while carrying an explosive barrel, you would also carry the risk of getting 'sploded. [...] I honestly believe this post diserves a lot more attention, also this shouldn’t be in the small suggestions topic because this is a big thing that changes the “balance of the game” (well since your adding a new ability... I think it does). Merged the posts with the appropriate thread. Although I suggested the same weight idea in my older post, I've come to disagree with it now, shuffling around with a barrel on your back would really put a dent in SFD's fast paced matches, it'll disincentive people from moving cover like this. Thanks, I really should've posted my idea normally instead of dooming it to the small suggestions thread's endless list, and now someone else has claimed my lvl99 suggester glory... *sigh* No offense Jyiro, actually props for suggesting the same thing but not making the same mistake. It's always been my opinion that interactions with objects/cover in the game has been somewhat lacking. Being able to physically and manually move bigger objects around without being forced to damage it would add more strategic depth both into how players control space as well as how players cross it. I also think how players pick up and move bodies could stand to be buffed a touch. Force walking speeds while just normally carrying an object with half stamina regen and allow for joging at the cost of stamina at the same rate as sprinting, provided you're carrying a lightweight object (crates, tables, bodies) and not a heavy one (desk, barrels). I really feel like being able to manipulate the objects in the game more would let players design sophisticated traps using c4 and mines, or more actively control chokepoints by pushing objects into key locations to either take cover behind or force an approach towards a tighter space.